I’ve heard of showstoppers, gamechangers and other people who have amassed a prestige and a success in unconventional ways. But what about people who changed the world by healing one person at a time? 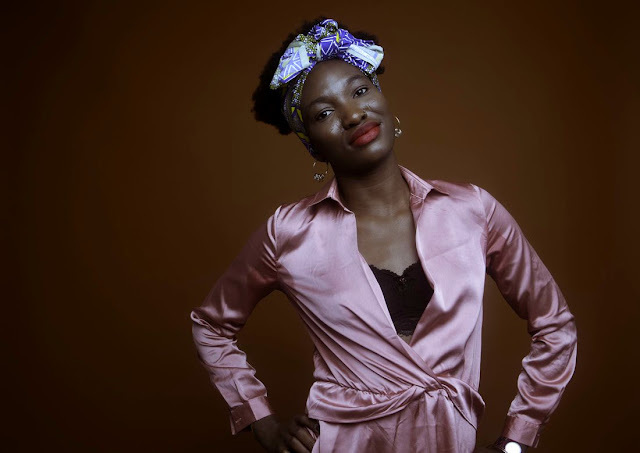 I caught up with Adeola Aderemi, founder of the media collective, Distinguished Diva, to share her language learning experiences and how she touches the lives of others. BGLL: Tell me about all these wonderful things you are doing to be the change the world needs? Adeola: I am what people call a multifaceted human being. I created a yoga program for survivors of trauma and worked with refugees and migrant women in Greece. The program is endorsed by Mercy Corps and the UN as a method of healing from trauma. I created Distinguished Diva because I wanted for all women of colour to see themselves in media and tell their own story without it being diluted or policed. I am a storyteller and believe in the power of a person telling their own stories, as a woman of colour who travels and live in predominately white space, I have had my humanity questioned, my stories being erased and my love being questioned. I needed a space where I can share and create fearlessly and that is what I created for all the women who have ever felt the same way. BGLL: So, you speak Greek? What languages do you speak in total? Adeola: I’m a polyglot and I speak Yoruba, English, French in addition to Greek. Those are all actually my native languages. I also speak German, Hausa and Arabic. I use German frequently because I travel to Germany for work and my friends, since I lived in Germany for over 3 years. BGLL: How did you learn these languages? Adeola: Every time I move to a new country I learn the language; my family are all polyglots so I also learn from my them especially my dad. We move a lot too and I really honestly just love languages. BGLL: Do you have a favorite language? Adeola: I don’t have a favourite but people love when I speak Greek because it is so mind-blowing for them to see a black woman speak that ancient language as I have been told. BGLL: A Nigerian-Greek polyglot who speaks seven languages and is healing the world one person at a time—that is the epitome of mind-blowing! Tell me more about what else you do professionally? Adeola: I am a graduate of speech and language therapy, currently work as a freelance researcher and trainer in Gender issues, I am also the founder and creative director of a media collective for women of colour called ‘Distinguished Diva’. BGLL: If you could offer three tips to learn languages, what would you say helps the most? Adeola: Music, cartoons, travel to the place and don’t be afraid to make mistakes. BGLL: How can we catch up with your Distinguished Diva platform online? Adeola: My site is www.distinguisheddiva.com and you can follow me on Instagram @distinguisheddiva, Twitter @Addygotherown and @ColourfulDivas. I also have a YouTube channel: DistinguishedDiva. Wow, this is so empowering; what a phenomenal woman. I love reading about women of color in this type of light. Always breaking barriers and stereotypes while changing the world n'ish.